The World Food Center mobilizes the resources of UC Davis to promote innovative, sustainable, and equitable food systems. Promote cutting-edge research, educational, and outreach programs in food systems. Originally founded in 2013 by the Office of the Chancellor, the UC Davis World Food Center was relaunched in 2017 within the College of Agricultural and Environmental Sciences. The World Food Center is associated with the College's International Programs team under the supervision of the Associate Dean of Global Engagement. Connecting public and private entities to develop partnerships that link to the vast resources and agricultural expertise of UC Davis and the California ag-food industry. Convening university-based teams to tackle grand challenges in food through interdisciplinary research and collaborative implementation. Communicating and amplifying the efforts of UC Davis researchers and educators to deliver agricultural innovations, policy impact, and economic growth. The World Food Center is advised by a committee of nine faculty members of the College of Agricultural & Environmental Sciences. Ermias Kebreab is a renowned scholar and skilled administrator with extensive experience in sustainable agriculture and animal science. 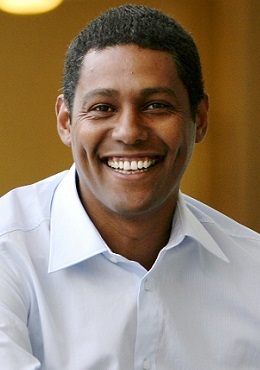 Alongside his leadership of the World Food Center, Dr. Kebreab serves as the Associate Dean of Global Engagement in the College of Agricultural & Environmental Sciences at UC Davis, and through both positions he oversees the advancement of the college's international goals while working in collaboration with extensive internal and external partnerships to magnify the grand challenges facing our global food systems. Dr. Kebreab is the Sesnon Endowed Chair in the Department of Animal Science. He has conducted extensive research in developing strategies for using feed additives to reduce methane emissions from livestock and has authored over 200 peer-reviewed publications. He is chair of the United Nations FAO Technical Working Group on Feed Additives, a committee member for the National Academy of Sciences (NAS) Panel on Anthropogenic Methane Emissions in the United States and also serves on the NAS Committee for Nutrient Requirements of Dairy Cattle. He is a contributing author to the Intergovernmental Panel on Climate Change (IPCC) 2019 Update on Good Practices Guideline in Chapter 4, "Emissions from Livestock and Manure Management." Dr. Kebreab is a recipient of the 2018 Bouffault International Animal Agriculture award and the 2014 American Feed Industry Ruminant Nutrition award from the American Society of Animal Science. Dr. Kebreab has previously served as the Associate Vice Provost of Academic Programs for Global Affairs and as the Deputy Director for the Agricultural Sustainability Institute at UC Davis. Hailing from Eritrea, Dr. Kebreab received his B.Sc. in biology from the University of Asmara, followed by a M.Sc. in integrative biology and a Ph.D. in ecological modeling from the University of Reading, UK. 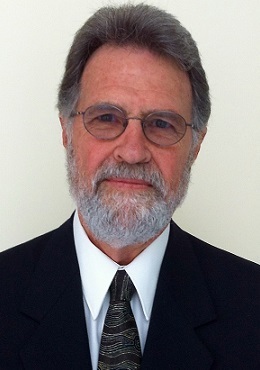 Kent J. Bradford is a distinguished agricultural scientist and seed biologist whose research spans diverse areas from seed germination and conservation to mathematical modeling and molecular biology. The author of more than 170 peer-reviewed research and extension articles and book chapters, Dr. Bradford joined the faculty at UC Davis in 1982 and is now a Distinguished Professor in the Department of Plant Sciences. In 1999, he founded the UC Davis Seed Biotechnology Center and continues to serve as its director. Throughout his career, Dr. Bradford has received numerous accolades, including a Fulbright Scholarship and the Faculty Award of Distinction from the College of Agricultural and Environmental Sciences at UC Davis. Dr. Bradford served as the Interim Director of the World Food Center from October 2017 - December 2018. Upon the permanent appointment of Ermias Kebreab as Director, he assumed the advisory role of Associate Director, which he will hold through June 2019. 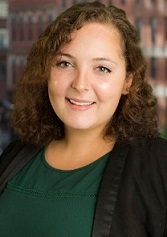 Kaylee D’Amico manages the World Food Center's programmatic efforts, including strategic initiatives, interdisciplinary projects, and special events. She works closely with stakeholders at UC Davis and externally to develop collaborations that support the World Food Center's mission. Previously, she served as Operations Manager of Our Generation Speaks, an international entrepreneurship program held in partnership with Brandeis University and MassChallenge. She has also worked with several NGOs in the fields of city planning, economic development, and health care as a development and program strategist. Originally from Boston, MA, Kaylee holds a B.Sc. in public administration from Emerson College.